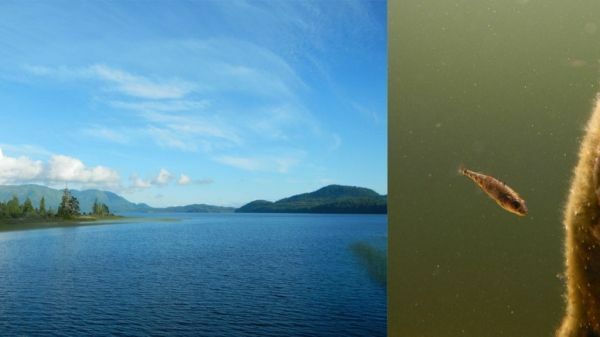 Variations in a single gene in tiny stickleback fish alter how they interact with their environment and potentially trigger changes across an ecosystem, a new study from the University of British Columbia and the University of Pennsylvania finds. The study, published today in Ecology Letters, found that the amount of bony plating on threespine stickleback fish in British Columbia – a trait governed by a single gene called Eda – was linked to the amount of phosphorous they released into the water around them. Fish with more plating released more phosphorus, the researchers found, and because phosphorous is a key element in aquatic ecosystems, such a difference may have trickle-down effects on microbes, plants, and algae in freshwater or marine areas.